Ahmed is a 21-year-old man who was born in Syria. He lived in Kobani with his parents and 4 siblings. 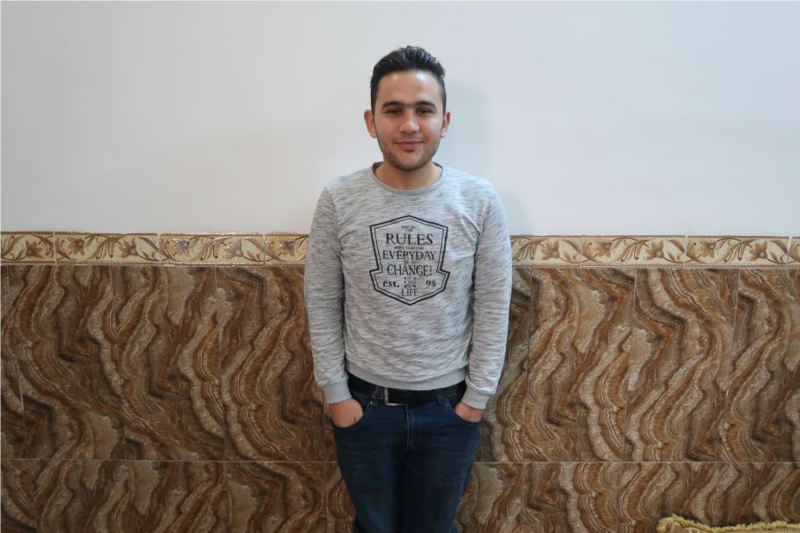 When ISIS emerged as a real threat and security situation in Syria worsened, his family decided to search for a safer place to live and they fled to Iraqi Kurdistan. 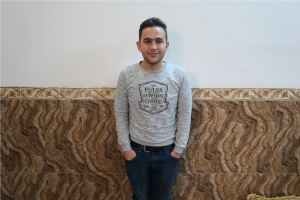 Ahmed’s family found a modest house in the suburb of Erbil, which they share with another family. Currently, only his father has a job and the family is struggling with their lack of income. Ahmed wanted to help his parents and he started to work, but unfortunately, due to a health problem, he could not continue. Around 10 years ago, Ahmed suffered from an inflammation of the right ear, which was not treated appropriately and caused him ear damage. Not just hearing loss, but also dizziness became a part of his daily life. Due to frequent dizziness, he could not keep his balance at work and he was forced to resign. The medication was not able to solve his health issue. Ahmed was in need of surgery, not affordable for his family. Thanks to the Association for the Aid of Youths with Disabilities and People with Handicaps (Association pour l’Aide aux Jeunes Infirmes et aux Personnes handicapées) he underwent the operation and he recovered well. Now, he can start to work again to help his family.